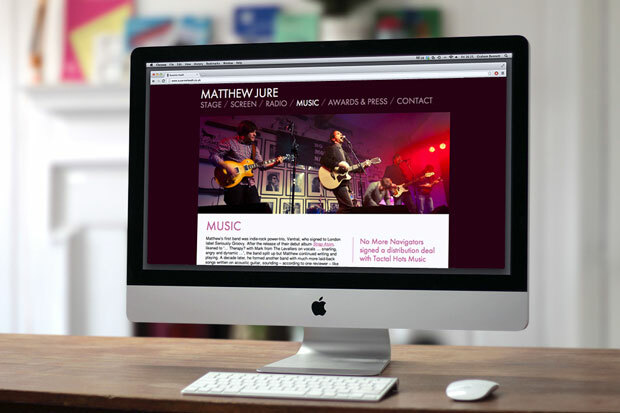 Critically acclaimed film and TV actor Matthew Jure needed a hard-working portfolio site to get him noticed. 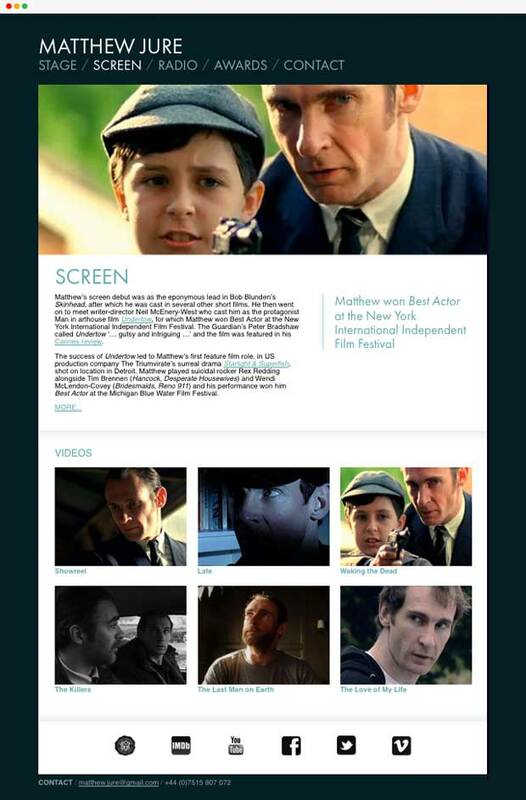 As well as being eye-catching, it needed to be a home for his ever-increasing library of audio and video clips, and feature an updateable news section to which he can easily add his latest roles. All this in a contemporary design which lets him showcase his talents to prospective casting directors. The money I spent with Extra Strong has been repaid several times over in work that has come directly via my site. 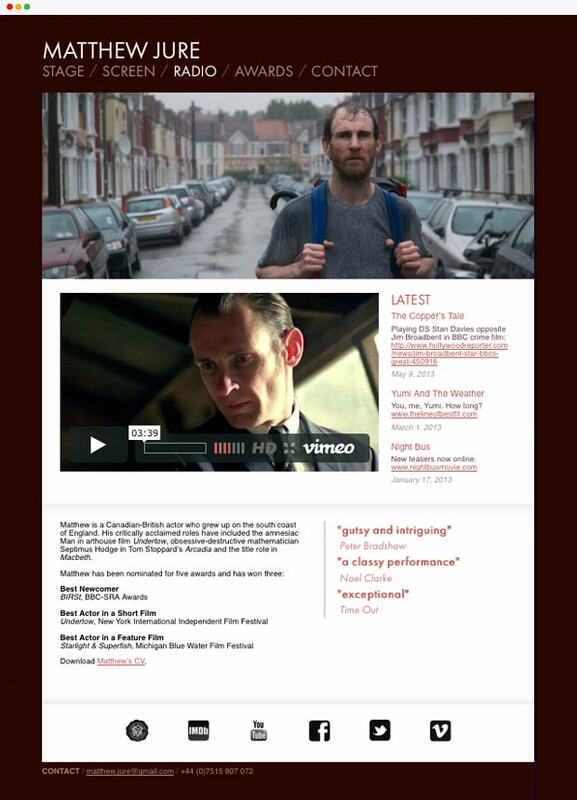 When I'm approached by a writer, casting director, producer or filmmaker who has found me online, their first comment is invariably 'Great website! '.